抄録：　Pieris japonica is a poisonous tree species that is rarely eaten by herbivorous animals, a fact that could enable the expansion of its distribution range and influence ecosystems into which it encroaches. In a regional-scale study, 300 P. japonica trees from 13 populations were sampled at the University of Tokyo Chichibu Forest, Japan, and were analyzed using 11 microsatellite markers. Genetic differentiation among the populations was low (FST = 0.022 and G′ST = 0.024). 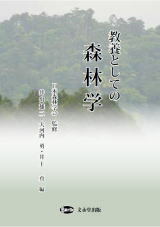 A plot (30 × 30 m) was established for a fine-scale study, in which all P. japonica trees and saplings were measured and genetically analyzed using the microsatellite markers. Using this approach, we detected 84 genotypes among the 121 P. japonica trees in the plot. A few genotypes had expanded by more than 5 m, indicating that the ability to reproduce asexually could facilitate P. japonica trees to remain in a given location. Autocorrelation analysis showed that the extent of nonrandom spatial genetic structure was approximately 7.0 m, suggesting that seed dispersal was limited. KINGROUP analyses showed that 44 genotype pairs were full siblings, 23 were half-siblings, and 40 were parent-offspring. Only 32 seedlings were observed, of which 15 had reproduced asexually. The number of P. japonica trees has been increasing gradually for more than half a century in our study areas. 抄録： Pinus halepensis has been described as a drought-tolerant species with high plasticity to growth in different environments. Its eco-physiological characteristics could facilitate the use of this species in large afforestations in the future scenery of climate change. Somatic embryogenesis is a biotechnological tool with potential for large-scale clonal propagation. In order to establish an improved regeneration protocol forPinus halepensis, the effects of different temperatures (18, 23, and 28 °C) and water availability conditions (2, 3, and 4 g L-1 Gelrite®), during initiation of embryonal masses on the rate of initiation, proliferation, maturation, and the number of embryos developed, were evaluated. It was found that environmental conditions during the initiation stage of Pinus halepensis somatic embryogenesis influence the success of initiation and proliferation. In contrast, there was no effect of these conditions on the maturation rates and the number of somatic embryos. Somatic embryos were obtained in all treatments tested, indicating that plants can be produced from extreme conditions of induction, such as high temperatures (28 °C) and low water availability conditions (4 g L-1).